Jessica Jones Season 2: It will be releasing soon. Look who’s back! Jessica Jones! This is an amazing surprise. 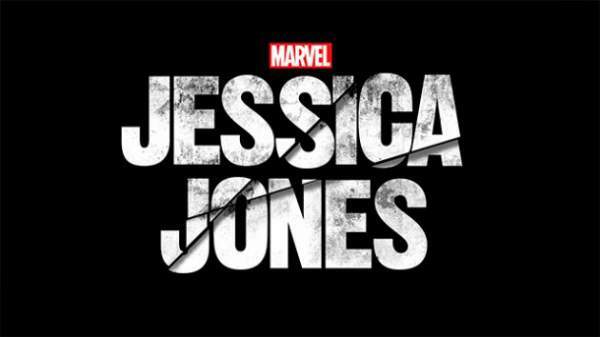 The second installment of JessicaJones is being processed with new scenes. Read out the article to know more about the American TV series. Recently, an update revealed that the filming for Jessica Jones s2 has been completed by October 4, 2017. And now it’s the time for some more details to be revealed. Fingers point towards the possible release for the second season in 2018. The first installment came back in 2015. Fans are curious to watch their favorite actors back on the set. The audience is excited to see more in the Netflix series which will possibly be visual in the second installment. Marvel’s Jessica Jones would be a Netflix release in 2018. 2 Jessica Jones Season 2 Release Date: When will it arrive on Netflix? 3 Jessica Jones Season 2: What happens next? At this point of time, the viewers might be dealing with a long list of questions. When will the second season fall on Netflix? What about the starring cast? Is there any new showrunner? And so on… In this article, you’ll get to know everything about the upcoming season. David Tennant will be back on the sets of JessicaJones. A report from Entertainment Weekly revealed his entry. David’s role as Kilgrave was one of a likable by the audience. The first installment showed an exit to David’s role. He was found dead in that installment and now his entry in the new season is possible too. The question is that: How will he be back on the show again? In what form, his existence would be displayed? But there’s no doubt about David’s entry in the second season. EW recently shared a picture of Tennant and Krysten Ritter on the season 2 sets of Jessica Jones. Jessica Jones Season 2 Release Date: When will it arrive on Netflix? The filming for the second installment started in the month of April this year. This began just after the recording for ‘The Defenders’ took a conclusion in March. Prior to that, the star of the show- Krysten Ritter (JessicaJones) had already revealed that it would a back to back shooting. This is just an evidence for the filming of season 2. The filming completed on September 14, but the production work is still in progress. In addition, some facts revealed that the web series will be coming on Netflix worldwide in 4K and HDR. Till now, any confirmed date for the premiere hasn’t been officially out. In 2016, Netflix CEO hinted the release is not possible before 2018. Further, he didn’t mention any specific date. The plus point is that- Jessica is back! Check: The 100 Season 5. Jessica Jones Season 2: What happens next? Jones is coming with a new season. The team has completed the shooting. Yet, much information isn’t revealed about the new installment. Silence is being kept for the details to be out. Hopefully, in the coming time, we’ll get to hear more about JJ season 2. Just a few leaked photos and hints are available for now. We didn’t hear much about the team cast of Jessica. But little hints have been striking all over. Talking about the writer and executive producer for Jessica Jones season 2, we would like to throw the glam light on- Raelle Tucker. Now, we are aware that the brand new 13 episodes of the second installment will be directed by women which will be exciting to see. How can we forget the showrunner? Melissa Rosenberg raises the standard of the show by her remarkable performance. Now, the audience might be waiting to know- Who’s in? and who’s out? Well, there is some time for this to be revealed. But some roles are sure to renew. Firstly, we’ll be catching Ritter back in the title role. Along with, Rachael Taylor would be joining the team as Jones’ close friend. His role would be revealing a character of Trish Walker. Next, we hear, Carrie-Anne Moss’ Jeri Hogarth to join the filming for season 2. Janet McTeer is also capturing the glam light by joining the team. Her role is yet unclear to be revealed. She had been playing as Albert Nobbs in ‘Into the Storm.’ Her performance is one of a remarkable to see. If asked from the audience, what would be the number of votes for her entry as a new antagonist? Share your thoughts with us. While giving compliments to the performance of actors, there came a compliment for McTeer by Rosenberg. McTeer was said to be one of a genuine person in real. The dignity with which she put efforts in her role is absolutely marvelous. Rosenberg feels the honor to be a co-partner with McTeer. The end of David Tennant’s life as Kilgrave in the first installment was sad to encounter. This brings us to the point that his entry is given an exit. There are no hopes of his renewal in the new season. But how can we forget the word- Hallucinations! Anything could be possible. Nuke’s role is thought to be processed by Will Simpson, NYPD Sergeant. The role would be displaying a super-soldier themed character. Earlier, the first season shot the character played by Will Travel. Now, Travel is been under the rules of the shady ‘IGH’ organization for the reason of using supplements to empower his strength for the purpose of killing J Jones. Travel himself is showing hints for his renewal in the hit show. There are chances to see Travel returning on the sets of the show. Now the time has come to greet a trailer of Jessica Jones season 2. The audience is curious to capture new events in the series. Alongside, we can see Netflix indulged in the promotion of the upcoming Defenders show. Until that is wound up, there seems no scope for the trailer. \Possibly, in the coming time, some updates will be out for the viewers of JessicaJones. Soon by August 18, there will be a launch for ‘Defenders’ show. Later, some promotions will carry the show with season 2. Hopefully, the time is just to wait for new updates to hear. Later in the months after other shows get a promotion, the time for Jones’ second installment release will come.